This Collection of Moisture Analyzer Methods for Pharmaceutical Industry features moisture methods for pharmaceutical excipients developed by Mettler Toledo. Based on a validation they enable you to obtain the same moisture results with HX204 as with the drying oven, but much faster and easier. 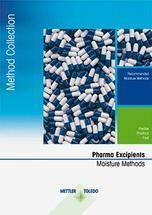 In this guide you will find several moisture determination methods for commonly used pharmaceutical excipients such as corn starch, ethyl cellulose or lactose. The results obtained with the HX204 moisture analyzer are compared to those of the reference method drying oven. With decades of experience in laboratory weighing and halogen moisture analysis, Mettler Toledooffers a wide range of know-how and tools. 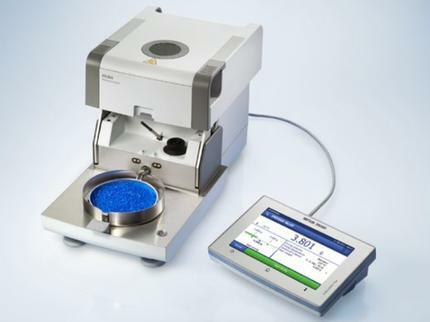 Make the most of our expertise to enhance your moisture knowledge and ensure you benefit from all the power that your moisture analyzer offers.